Farrah's Old English Toffee Assortment is a crowd-pleaser anytime of the year. 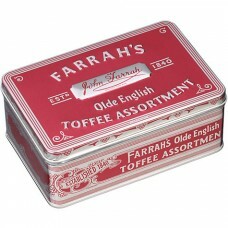 The classic red tin contains a variety of flavoured toffees including liquorice, dairy, mint, treacle and rum & butter. 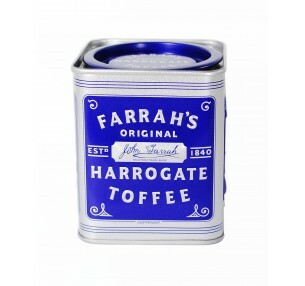 Farrah's Harrogate Toffees are presented in their tradmark Tea Caddy Tin, making them an ideal g..